If anyone could use a drink,it’s a writer. 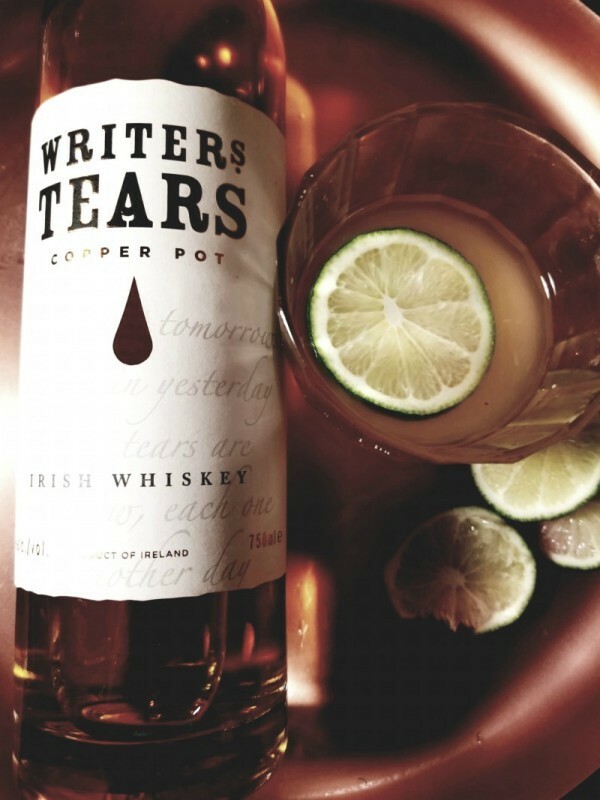 The Irish whiskey, Writers Tears, is a nod to the 19th century Irish writers who would drink whiskey to get rid of their writer’s block. It’s no secret that some of our most beloved Irish writer’s loved them a good pub. Due to all of the whiskey that they drank it was said they shed tears made of whiskey. Writers Tears is a blend of Malt whiskey and Single Pot Still whiskey made by Walsh Whiskey Distillery. The blend combination first showed up in the 1800s. Ireland is known for their unique style of Single Pot Still whiskey, so you won’t find this type of whiskey just anywhere. The spirit is matured in American oak bourbon barrels. Upon sniffing Writers Tears, it’s easy to tell that it’s a softer and sweeter whiskey. There are aromas of honey, apple, and vanilla that will hit your nose. Your palate will taste notes of toasted oak, butterscotch, and almonds. Writers Tear was mainly available in Ireland and select locations, including 17 in the United States. Now Walsh is turning it up a notch and the whiskey will available in about 40 states in the US. There has been a lot of hype surrounding this whiskey so now more people can get their hands on it. The accolades are justified. It’s a unique whiskey that is fun to play with. The following cocktail is a spin on the classic version of a margarita. The soft and sweet side of the spirit is perfect to make a whiskey based margarita. The triple sec, especially Cointreau adds some pop to the libation. Cheers to all writers and those who love us. Salt the rim of a chilled glass. Add all of the ingredients in a shaker filled with ice. Shake it so that the ingredients fall in love together, then strain into the strained glass.